Rick Riordan, dubbed "Storyteller of the Gods" by Publishers Weekly, is the author of three #1 New York Times best-selling middle grade series with millions of copies sold throughout the world: Percy Jackson and the Olympians, based on Greek mythology; the Kane Chronicles, based on Ancient Egyptian mythology; and the Heroes of Olympus, based on Greek and Roman mythology. 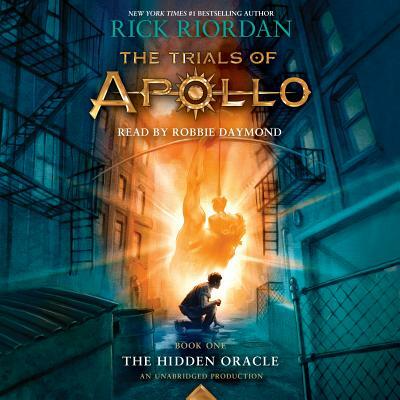 Rick collaborated with illustrator John Rocco on two best-selling collections of Greek myths for the whole family: Percy Jackson's Greek Gods and Percy Jackson's Greek Heroes, both available on audio from Listening Library. The first book in his Magnus Chase and the Gods of Asgard trilogy based on Norse mythology, The Sword of Summer, also debuted at #1 on the New York Times list. Rick lives in Boston, Massachusetts with his wife and two sons. Follow him on Twitter at @camphalfblood.